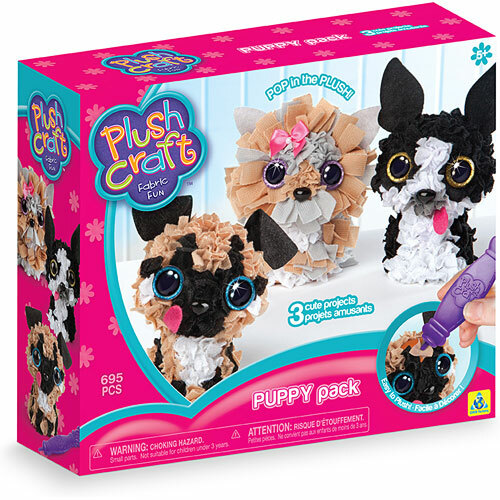 Make not just one but three adorable 3D puppies with the PlushCraft Puppy Pack. 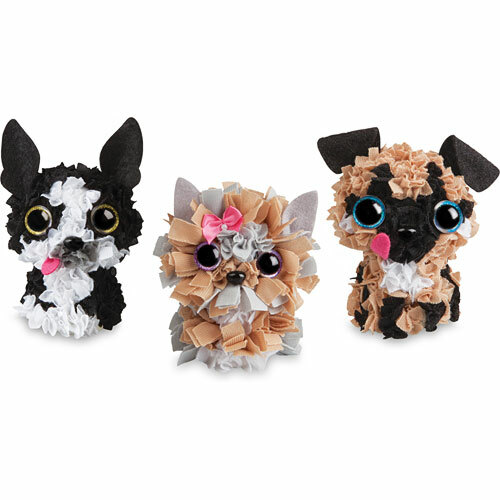 Match the colors and plush color and pop in the plush with a push using the special stylets. Then add in the accessories to complete your cute pups. Mess free! Measures approximately: 10.00 x 8.50 x 3.00 inches..